Ignition Design Labs announced the launch of their Portal Wi-Fi router on Kickstarter, claiming to offer superior speed, coverage and reliability — even in congested WiFi environments. In crowded settings, such as multi-unit apartments, dorms and small businesses, Portal claims to perform up to 300 times faster than a conventional consumer router and delivers three times lower latency. It uses congestion management technologies to access additional airwaves, also known as spectrum. Portal’s patent-pending technologies received special FCC certification to operate in the entire 5GHz spectrum, unlike other consumer routers. This leap in technology earned Portal two Best of Show awards and other industry accolades at CES 2016. Portal’s advanced technologies are built around powerful hardware and a sleek, elegant design. Inside the smooth, aerodynamic body are 10 state-of-the art radios, strong external power amplifiers and nine conformal antennas that deliver impressive range and coverage. The no-compromise design goes further to include five Gigabit Ethernet, two USB ports and an optional Web GUI configuration page to satisfy even the most expert users. The Portal Router will ship late summer 2016 for $149 via Kickstarter. European customers can get a Portal in Limited Edition Dark Oxblood Red. Silicon Valley-based Ignition Design Labs is a veteran team of wireless networking engineers developing radically new technologies at the heart of the next generation Internet of Things. 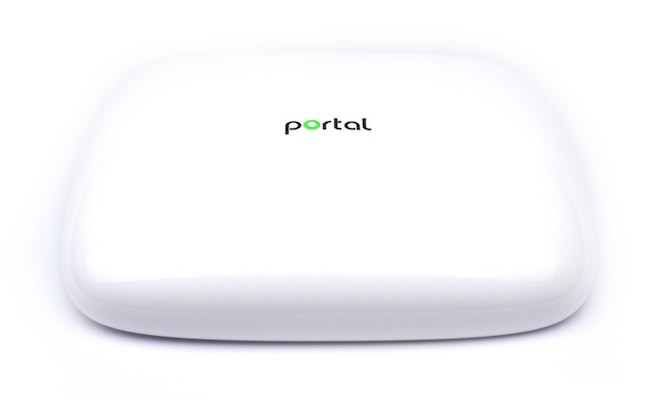 Its flagship product, Portal (http://getportal.io), is an entirely new class of agile smart-learning router designed for demanding WiFi environments.